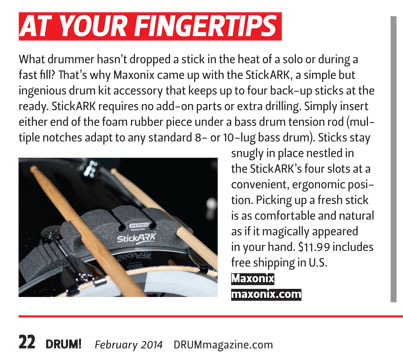 "sticks at your fingertips... simple but ingeneous... convenient, ergonomic... comfortable and natural"
"super convenient" ... "it's pretty much a no-brainer purchase"
"Cool idea, every drummer needs this!" 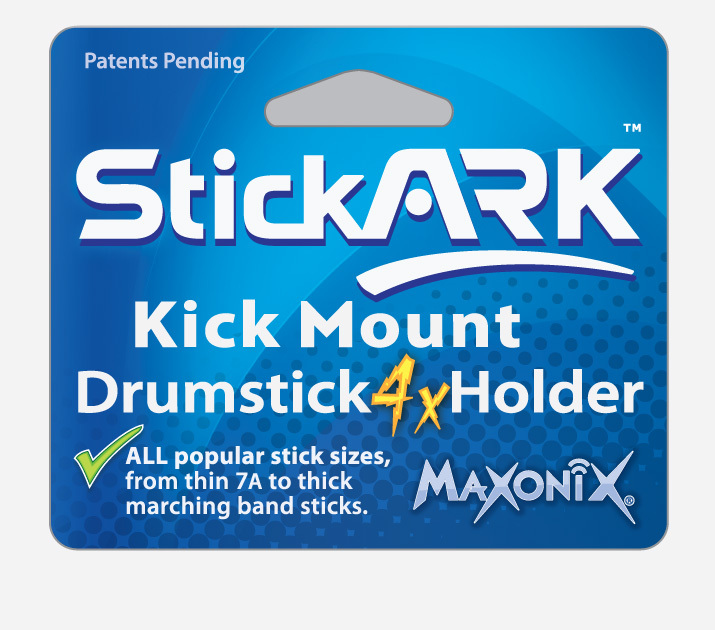 "The new StickARK is sweet man!!!!" 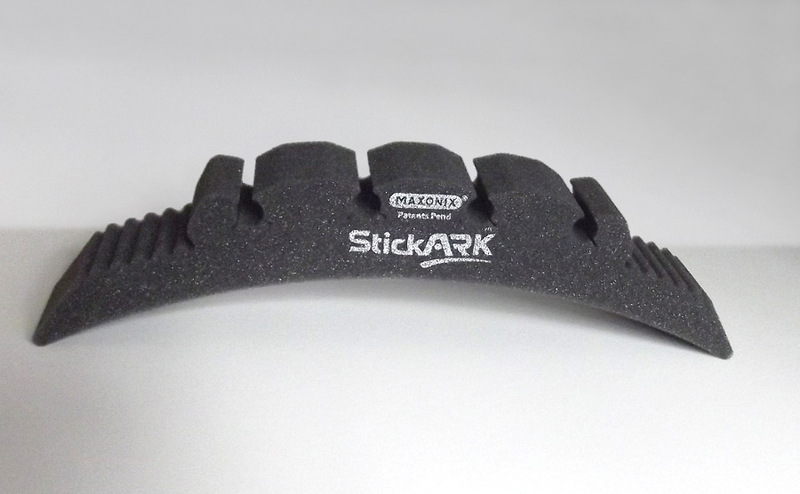 When you need a fresh stick due to a break, style change, drop, or to replace sticks you throw to fans, StickARK™ makes it fast & easy ... so you can stay smooth & keep the groove. 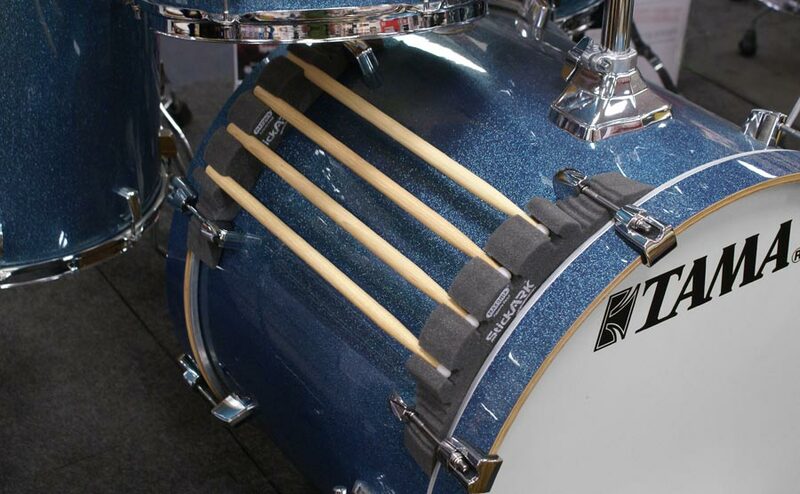 This kick drum mounted drumstick holder has an innovative design that's easy, affordable & very effective! 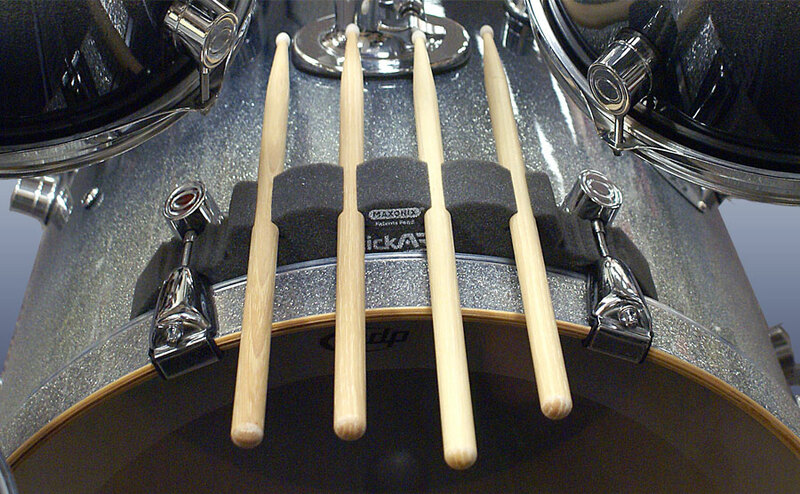 The top of a kick drum (bass drum) is the first place drummers naturally want to put their sticks. 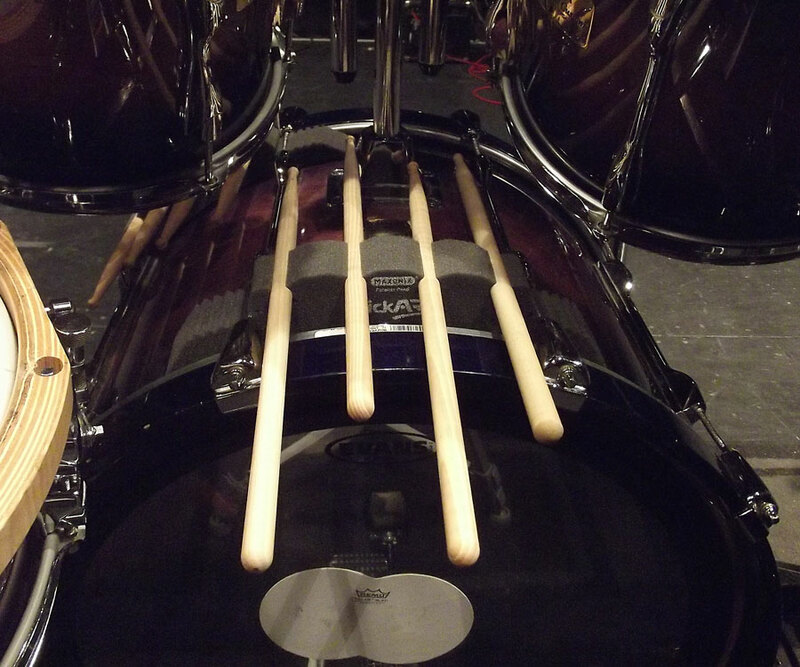 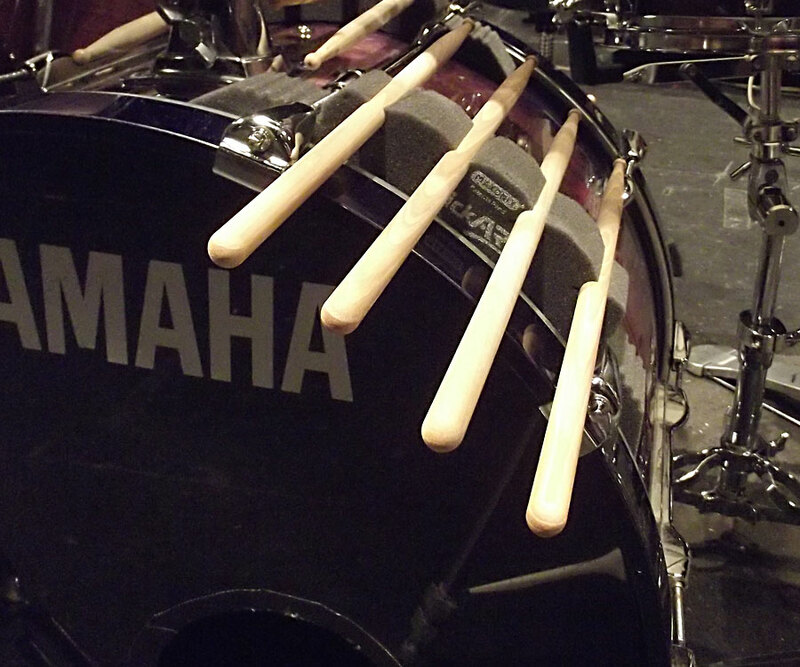 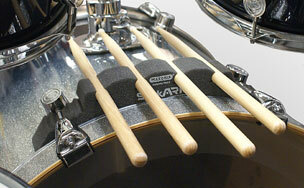 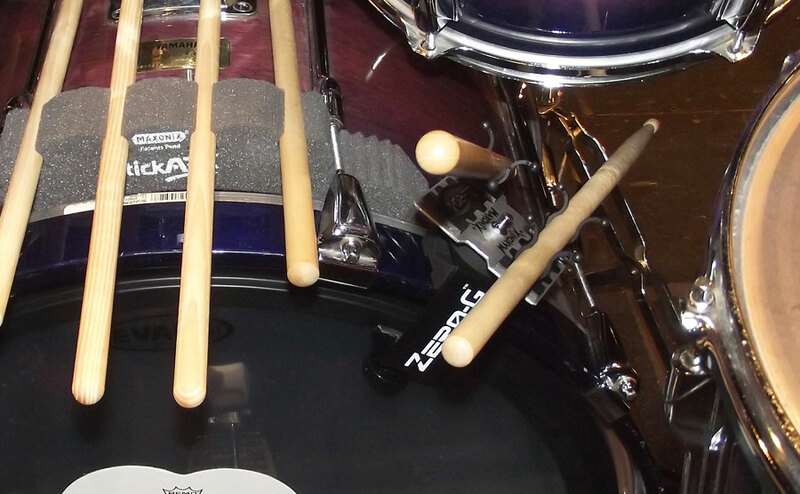 Now, thanks to StickARK, drummers can keep 4 sticks lined up in perfect order. 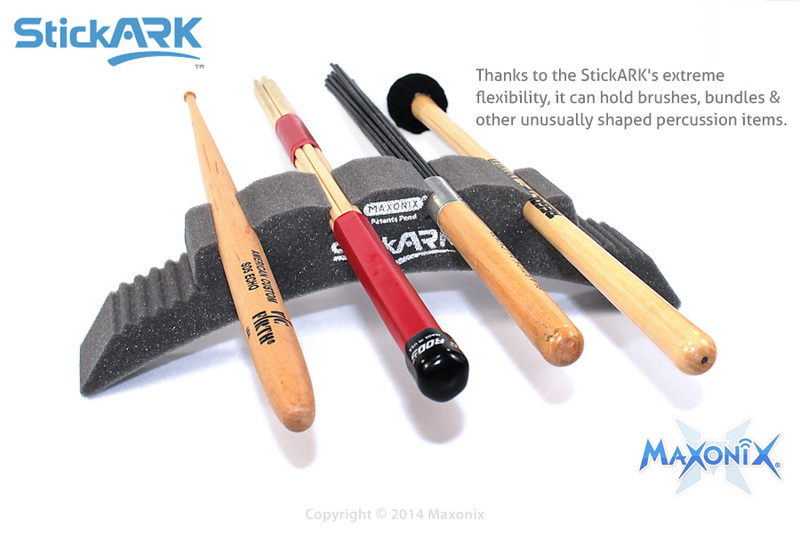 There's more; thanks to the StickARK's extreme flexibility, it can also hold brushes, bundles & other unusually shaped percussion items. 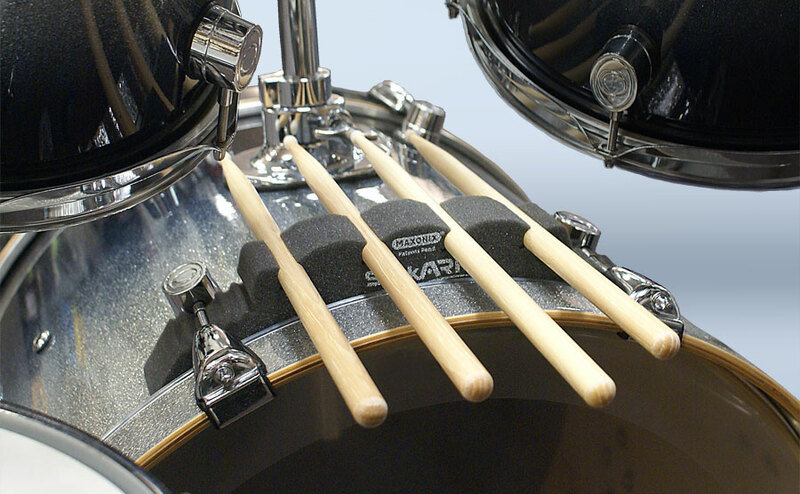 Measurement/fit: note for small or unusual bass drums — minimum space needed between the tension rods is 6 ¾ inches (170mm). 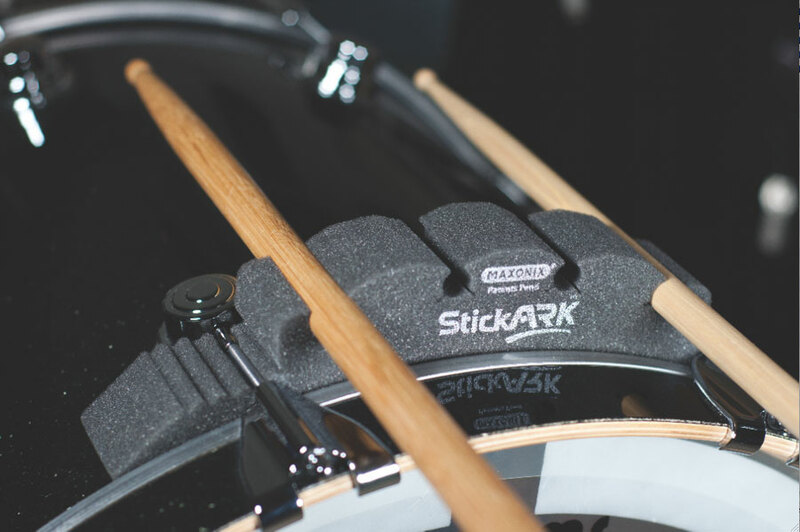 In other words, the StickARK will fit on your small bass drum (like a 18 or 16 inch) if you have 6 ¾ inches (170mm) or more space between the tension rods. 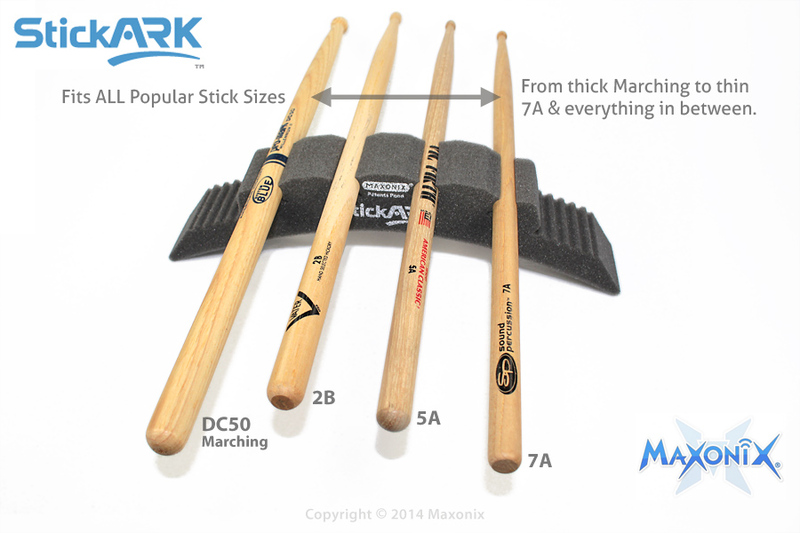 But, more than 10 ½ inches (265mm) is too much. 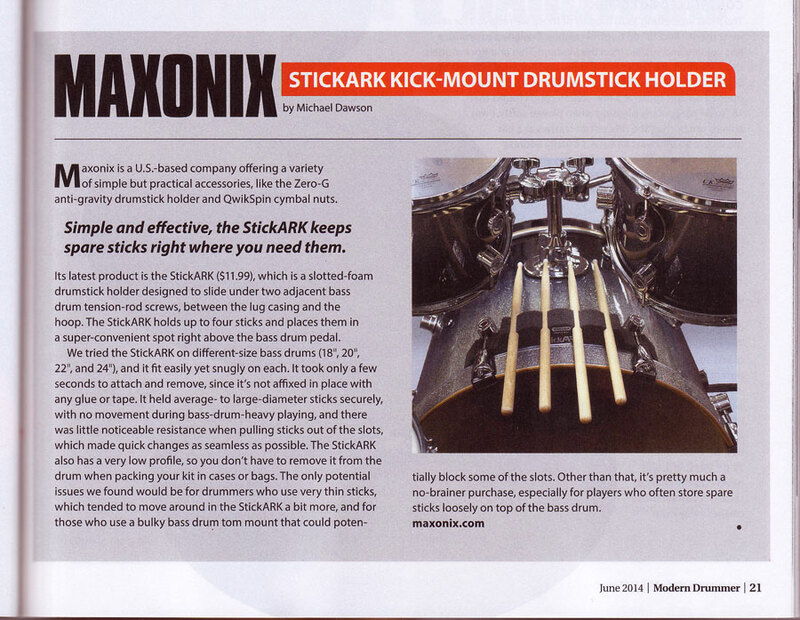 Like all our products, StickARK is Made in USA. 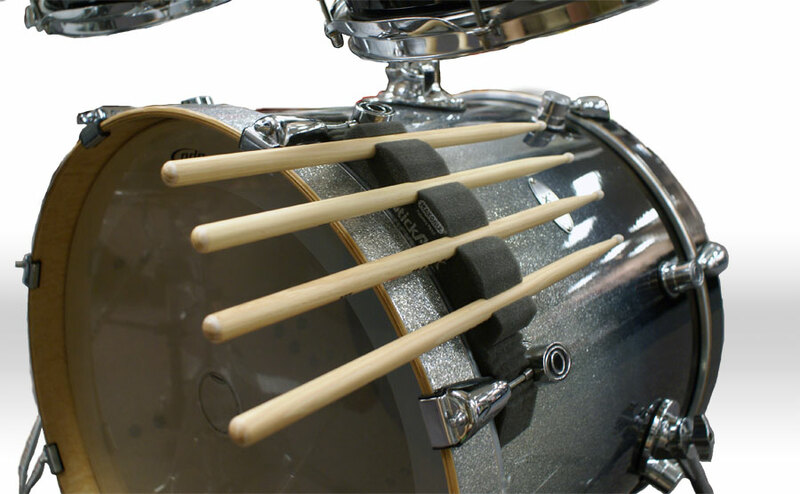 >> Back Ordered, expected in May.